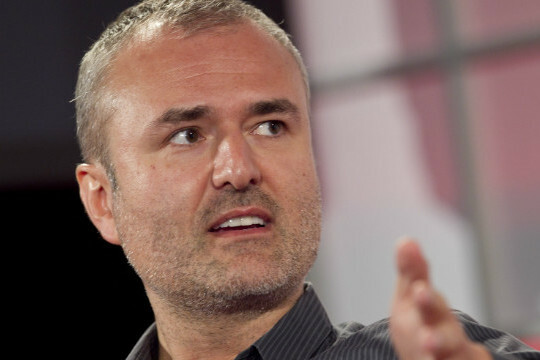 When we spoke with Nick Denton recently, the Gawker Media CEO talked about how the new commenting system he launched last month would shape the future of the company — and he hinted that this would involve the business side as well as the editorial side of the New York-based operation. Now we know what he was referring to: in an internal memo on Thursday, Denton announced the formation of a new sales unit that will focus on helping advertisers and brands take part in the new commenting system. Gawker is also launching a content-driven commerce arm that will focus on affiliate links and in-page transactions. We all know the conventional wisdom: the days of the banner advertisement are numbered. In two years, our primary offering to marketers will be our discussion platform. In the memo, as well as in his interview with GigaOM, Denton talks about how the seminal “conversation marketing” book The Cluetrain Manifesto was published a decade ago, but few companies have really put its principles into practice (although Federated Media has been promoting the idea for some time). By using its discussion system as a platform for critics and advertisers to discuss issues in the same place that articles appear, Denton says Gawker will be able to test some of those principles. Advertisers will pay for promotion of the discussions in which they engage. 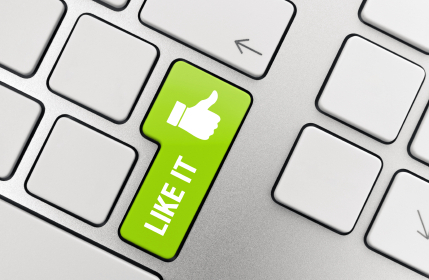 Just like any marketer can go into Twitter — but sponsored tweets give them more prominence. They will also be paying for our help in discussion management. Just like they currently contract with us to create sponsored content in the voice of the web and the Gawker readership. But will advertisers choose Gawker instead of Facebook? In Denton’s view, advertisers and brands will want to come and hash things out in the comment section of a blog post at Gawker. In our interview, he described how AT&T (s t) got criticized for its poor cell coverage not long ago, and how the new commenting system would allow AT&T to have an engineer or someone with knowledge of the situation come and address those criticisms directly. But will companies actually want to do that? I’m not convinced. Why not just put up a statement or discussion on their own blog? In addition to the discussion-marketing unit, Denton said Gawker is also launching a content-driven commerce operation that will include everything from “affiliate marketing to in-page transactions.” The Gawker CEO noted that the company has actually had working affiliate links to gadgets and other products mentioned in its pages for some time, and that in December it “made $70,000 from Amazon without really trying — no seriously, it was an accident.” The full text of the memo is embedded below. Note: We’ll be discussing these kinds of media issues and more at paidContent 2012: At The Crossroads on May 23 in New York City. Register today. As if an official spokesperson were somehow prevented from commenting in the previous site iterations. This got unintentionally kicked off with a bang by trolls using Denton’s latest idea of untraceable Burner accounts to spam hundreds, if not thousands of links to the NestlÃ© “Hot Pockets” website. Once again Gawkers moderaters had to pull long hours of duty to manually remove the trolling posts. Burner accounts were supposed to allow anonymous posts by celebrities and subject matter experts, but have instantly devolved into a easy access point by trolls. One has to wonder how advertisers will feel about having their sponsored comment savaged by unblockable internet trolls whose hate and vitriol have to be tediously manually removed from the site? basically what he is trying to do is make money by biased content. I can see how companies like Microsoft and Facebook which frequently pay PR people to trash competitors can use this. If you see the buzz around the internet over windows phone 7, there were lot of anonymous comments saying great things about it, this usually never happens on the internet commenting sections as hate rules. I suspect, MS would have employed some shady strategy as described in this article. Exactly (I’m a little too angry to actually articulate my feelings). All I can manage is that Gawker better label clearly these “brand advocates” (e.g. sponsored content). This way we can all ignore them and go on our merry way. I might be late to the party compared to the The Cluetrain Manifesto, but from my point of view just by changing the layout/organization/display of a comment section one can get all three and avoid the pitfalls(just another statement/comment) you mention including banner ads. If we look at the extreme, how much of those three did Steve Jobs accomplish by just answering a few email. How many banner ads would it take to accomplish the same , how many buried PR statements somewhere in an article comment?